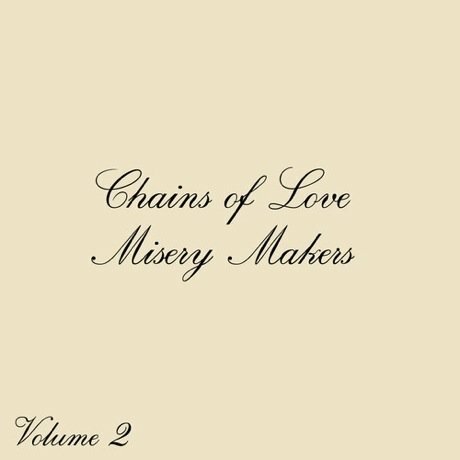 Vancouver soul-pop outfit Chains of Love split their album Misery Makers up into EPs, and with Vol. 2 due out through Manimal/Light Organ on March 25, the band have now shared the title track. Produced by the band's own Felix Fung along with Richard "I Want Candy" Gottehrer (Dum Dum Girls, the Raveonettes), the song is a soulful waltz that carries an undercurrent of garage grit in its chiming guitars and dramatic crescendos. These days, Chains of Love are spitting their time between Vancouver and Los Angeles. They are planning to enter the studio with Binky Griptight of Sharon Jones and the Dap-Kings, but for now, stream "Misery Makes" below.